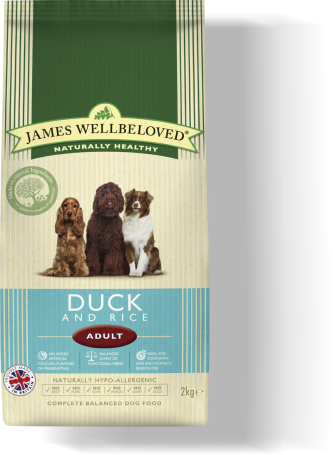 Using all our knowledge and experience, we’ve created James Wellbeloved Turkey & Rice Adult. We take a handful of ingredients from nature, one source of animal protein, and combine them with all the vitamins and minerals your dog needs. For added peace of mind, it’s naturally hypoallergenic so less likely to cause an adverse food reaction and you will never see any added artificial colours, flavours or preservatives. Not now, not ever. Great quality food & my dogs love it. They stay in good condition & look forward to their feed time. My dog is 8 years old and has never eaten anything but James Wellbeloved, she has always been a healthy and happy dog. The service and staff where I purchase the food could not be anymore helpful or polite. Our dog has recently swapped from small dog to adult. She enjoys both, but the adult is more suited to her delicate stomach.